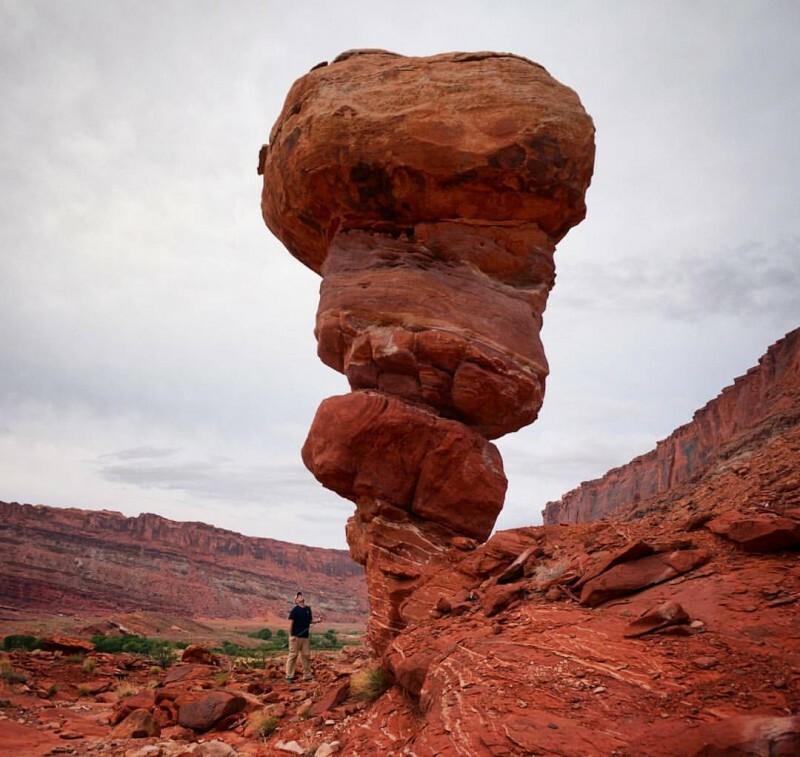 Hayduke: Devil’s Golf Ball – Across Utah! It’s hard to even consider this a “diversion” from the Hayduke Trail since it’s so close to the route (Section 1), and yet so few Haydukers seem to visit this geological oddity. Devil’s Golf Ball (aka Happy Turk Hoodoo) is just east of the Kane Springs Road as it passes through the Ledges Camping Area in the open valley before climbing up to Hurrah Pass. One can visit the site with only a 5-minute walk off the route. If headed south, as one hikes past Ledges Camp “B” on the right, it’s possible to follow a drainage on the left up to Devil’s Golf Ball. However, the easier route might be to just continue on the road up the hill and then just before reaching Ledges Camp “C” on the right, go left and follow a faint dirt road toward the cliffs. 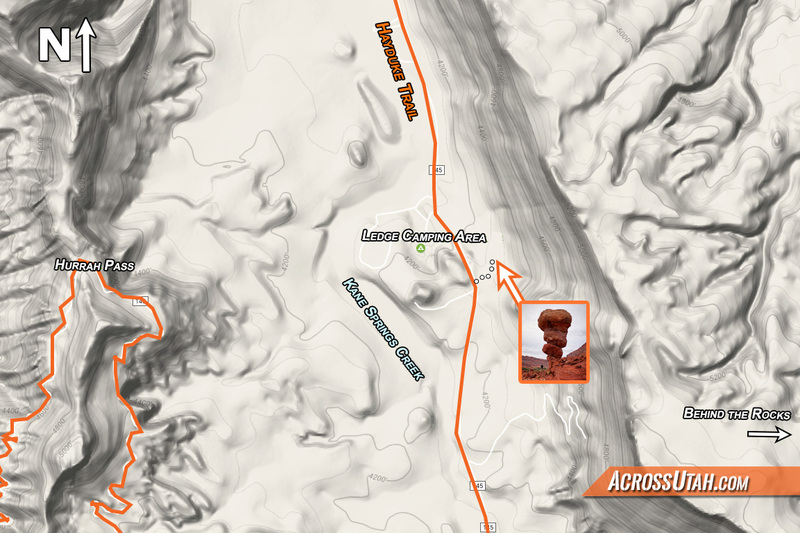 Within a few hundred feet you will see the hoodoo and then it’s a quick walk to be under the cool formation. Depending on the day, you might see climbers attempting to scale the pinnacle.